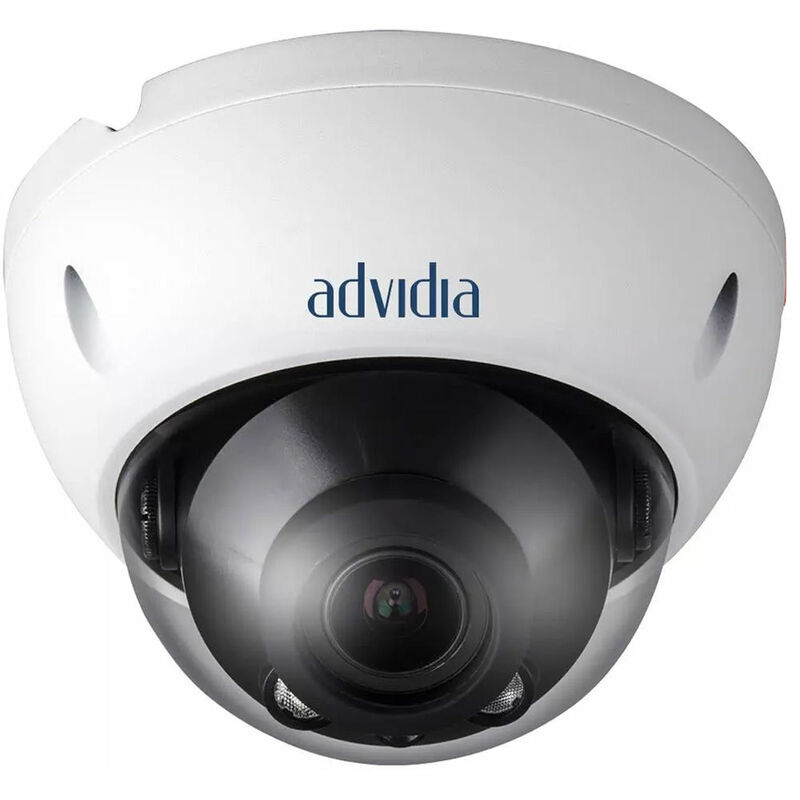 The 3MP Vandal-Resistant Outdoor Network Dome Camera from Advidia utilizes a 1/3" 3MP progressive scan CMOS sensor and features a 2.7 to 12mm motorized lens with a 92 to 28° angle of view. It has a microSD card slot for up to 128GB of local storage (card available separately) and is rated for use outdoors and in areas at risk of vandalism. It also has an S/N ratio of more than 50 dB and 3D noise reduction.